The Jorvik theme has the option to select from 12 different grid layouts for your articles/posts. Select your preferred layout and click the ‘Publish’ button to save. Please note that due to the limited screen width of mobile devices, the layout will display posts in one column on devices with a viewable browser width of 768 pixels or fewer. 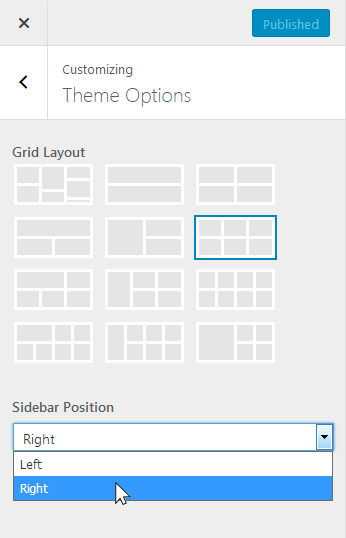 Also, with the exception of the masonry layout option, the grid layouts will display in one column when viewed in older web browsers that do not support the CSS grid layout.